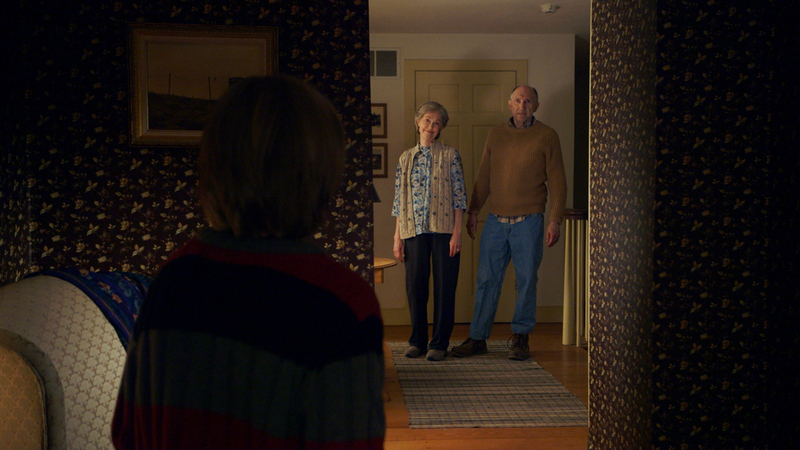 This week’s movie assignment was The Visit by M. Night Shyamalan. It mainly stars Olivia DeJonge (The Sisterhood of the Night) as older sister Becca to Ed Oxenbould’s (Alexander and the Terrible…) Tyler or “T. Diamond Stylus” as he calls himself. The premise behind the movie is that these two kids are going to visit with their maternal grandparents after their mother has been estranged from them for the better part of fifteen years. Not an overly sound premise, but we’ll leave that for now. As for the grandparents in question, they are played by Deanna Dunagan (Just Like a Woman) and Peter McRobbie (Lincoln, Spider Man 2). They both do an eerie and stellar job playing the estranged parents of Kathryn Hahn (Tomorrowland). Hahn has a small but important role in this film as she is the person who is sending her two kids to stay for a week at the house of two people she hasn’t spoken to in fifteen years just so she can go on a cruise with her new boyfriend. 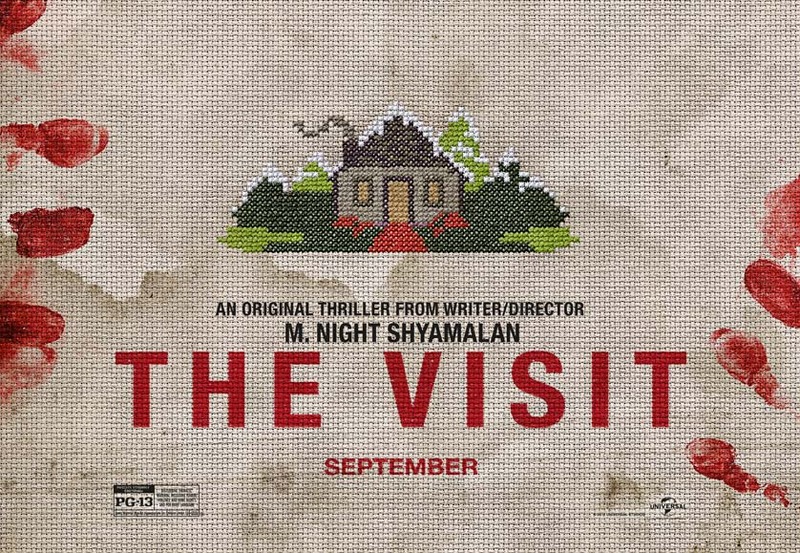 How did The Visit stack up?? Read on to find out! The entire movie is shot through two video cameras held by Becca and Tyler and it’s meant to capture their individual perspectives of their visit. Becca is looking first for the “elixir” which is forgiveness for her mother, and second for the incident that occurred on the day she left. Tyler grudgingly goes along with his big sister on this. The first day goes fine. The night, not so much. They find out that dear old Nana has Sundowner Syndrome that has her acting funny and throwing up as the sun goes down. It’s something that affects people with certain forms of dementia. Pop Pop has incontinence and leaves his “accidents,” as Nana calls it, in the shed out behind the house. Something Tyler finds out through snooping after him. There are other incidents that occur that have the kids questioning the health and sanity of their grandparents. I won’t go into detail on them as I don’t want to spoil anything for Shyamalan’s fans. As the movie goes on, you start to realize there might be more wrong with Nana and Pop Pop that we’re not seeing. There’s a moment at a well, and the fact that the grandparents are never around when people from the place they volunteer as counselors at show up to check on them. Not to mention the kids are not allowed to go into the basement (hello, foreshadowing) and the strange state that Becca finds Pop Pop in in the barn later. No, I’m not telling you a thing more than that. Let’s talk flaws. First of all, what kind of mom sends her kid off to visit for a week with parents she hasn’t seen or spoken to in fifteen years? 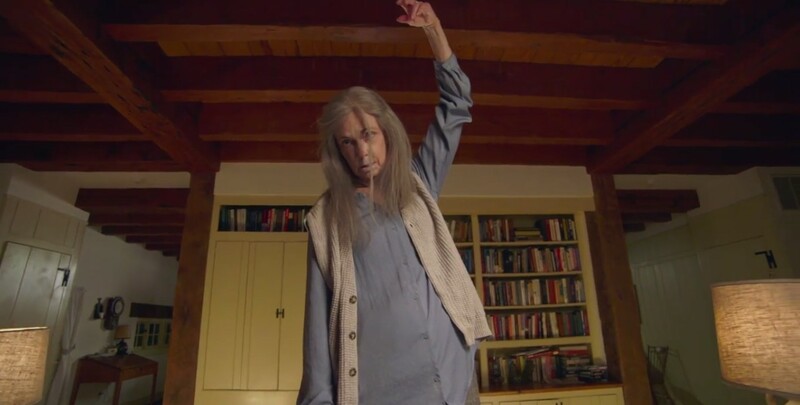 Second, why is it that the answer to every weird thing the grandparents do is “they’re just old?” Third, thanks to the predictable pattern of Shyamalan’s movies, we know there’s going to be a “twist.” Sadly, if you’re truly familiar with his work, you’ll figure it out within twenty minutes. Another problem with this movie is that it was meant to be a horror/comedy, but it failed to completely pull off either, instead, it was more muddled with too even a balance between the two genres, but no real blending of the two. It failed to be truly funny or to be truly scary. I was more bored than amused or terrified. Rather like Signs, this movie fails to deliver. The pluses to this cinematic feature: First of all, the acting is flawless. Everyone is completely believable even if the plot needed a little work. Second, thanks to a fairly modest budget (approx. 5 mill.) we weren’t inundated with unnecessary special effects. It all came down to shooting angles and lighting. There were several moments of tenseness that were really aided by the camera work. The fellow next to me had quite a few “jump” moments due to this ingenious bit of cinematography. 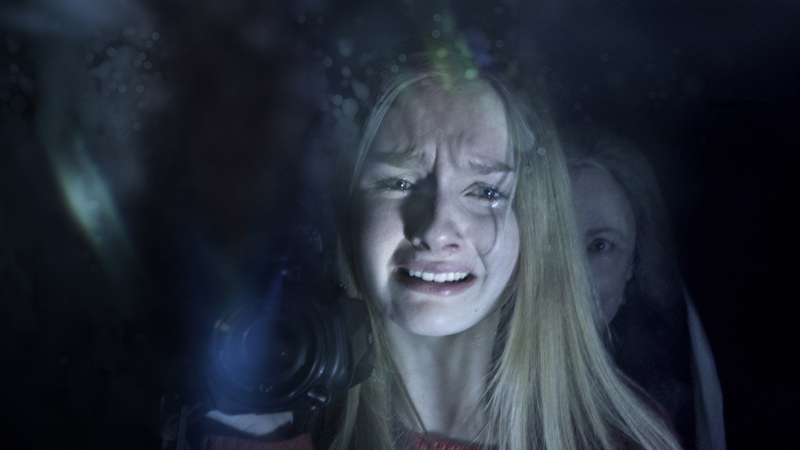 Unlike The Blair Witch Project, the use of the actor’s perspective aided rather than restricted the quality of this movie. If you look at this movie through the perspective of it being just a strange documentary rather than as a movie that was supposed to be scary/funny, it becomes easier to digest. If I was to watch it again with this thought in mind, I might appreciate it more.